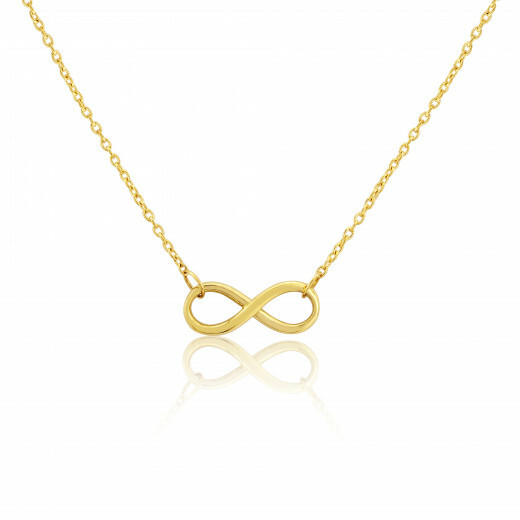 An integral Infinity symbol in polished Yellow Gold with a delicate fine chain which can be worn at a 16” or 18” length. A beautiful piece with a meaningful symbol - perfect for Valentine’s Day or to celebrate an anniversary. 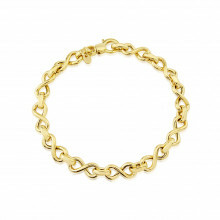 Wear with the matching Infinity Bracelet or layer with other fine chain Necklaces.